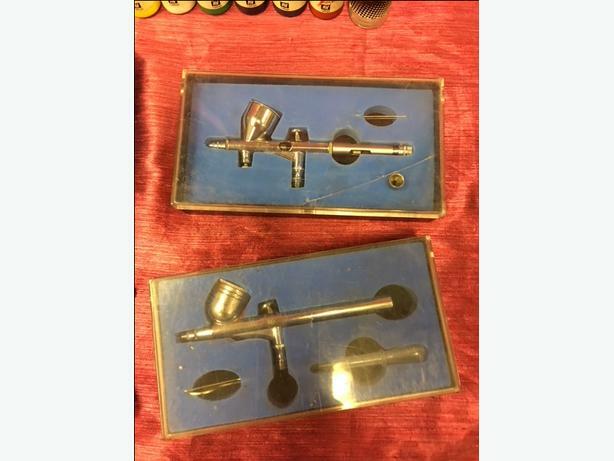 Its up for sale my 2 airbrushes and set of paints. Brushes are in good working order. Some of paints hasn't been open. Due to working hours please TXT or Email me.